THE FIRST WATER TANK TO COLLECT, FILTER AND STORE RAINWATER STRAIGHT OUT OF THE BOX. The Pioneer® WaterHarvest Tank is the first water tank to collect, filter and store rainwater straight out of the box. Rainwater harvesting just got a whole lot easier. Now anyone can harvest rainwater, anywhere, anytime it's raining. The WaterHarvest Tank collects water right off of the tank's roof. No need for extensive guttering, piping and pump systems to convey water to the tank. As soon as the WaterHarvest Tank is built, it's ready to harvest rain. 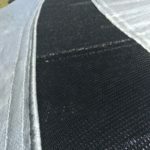 The patented flex fabric roof system is engineered from the highest quality materials and is UV stabilized to provide year after year of reliable service. When designing this new product, we insisted on using only the best available textiles and construction methods to match the overall quality that Pioneer® tanks are known for around the world. 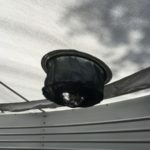 There are two things that will degrade the quality of harvested rainwater: organic matter, which causes bacteria growth and sunlight, which causes algae growth. 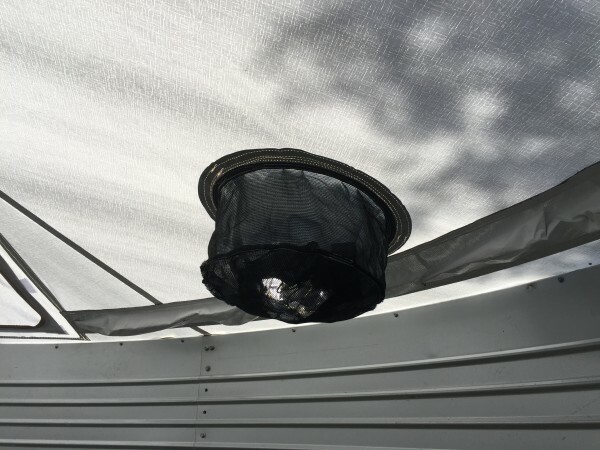 The patented water harvesting mesh on the WaterHarvest Tank effectively filters out organic matter and the internal gutter system completely blocks direct sunlight, so once rainwater is harvested in the tank, it will stay fresh indefinitely. 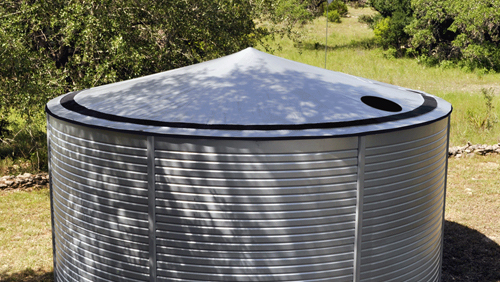 The WaterHarvest Tank takes mosquito-proofing to the next level. 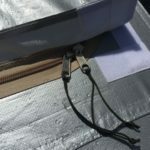 The tank is completely sealed from insect intrusion while allowing rainwater to enter the tank from the roof and air to constantly circulate. 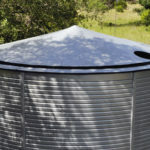 With new and frightening mosquito-transmitted diseases being announced every year, make sure your water storage tank is 100% mosquito-proof like the Pioneer® WaterHarvest Tank. Product inventor and Acer Water Tanks CEO, Jeremy Delost, was searching for a way to provide the popular Pioneer® Galaxy tank to more people in farther destinations. 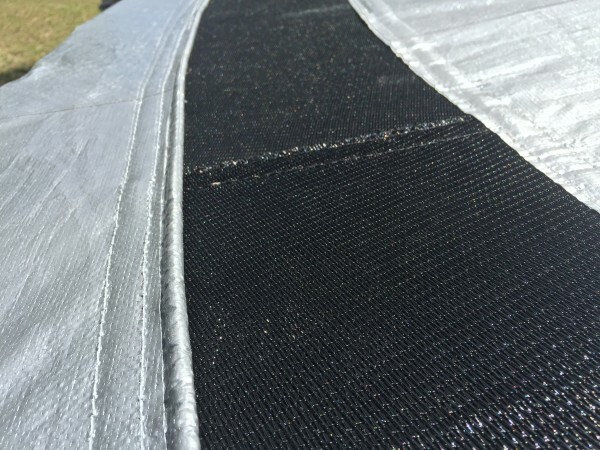 So, Jeremy designed and prototyped a flexible roof made of high-grade textile fabric. By replacing the steel roof trusses and roof panels, which add significant weight and bulk to the overall shipment, with a foldable flex roof, the size and weight of the shipments could be significantly reduced. In today's "pop-up" world, products that are smaller, faster and lighter are gaining market share. The Pioneer® WaterHarvest Tank embraces this trend as we have reduced product weight, shipping cost and shipping dimensions by over 50% each. Now we can ship farther, faster and cheaper than any other tank on the market. 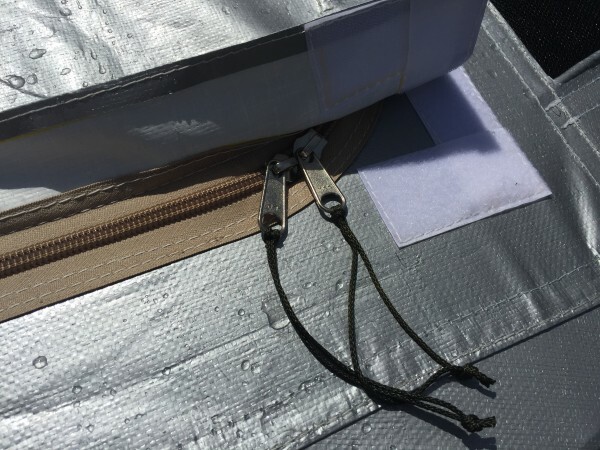 After the initial design, Jeremy worked with engineers from one of the world's best fabric manufacturers to integrate innovative features like a rainwater harvesting mesh and gutter system, zippered closures, an integrated filter basket and strategic reinforcement zones. The culmination of this partnership is the world's first patented rainwater harvesting roof for a bolt-together steel tank.